To propose a solution, one must first identify the problem, which has become increasingly difficult to do because the media and the rest of the establishment intentionally ignore, mislead, and misinform the public. One option is to simply do the opposite of what these self-interested buffoons say. However, since some may want more detail, let’s start with the root of the problem, along with some founding principles for a successful solution. The root causes of our problems are no different from the problems that have brought down all great societies – debt, taxes, and the career politician, or in a word, GOVERNMENT. Govt self-interest ultimately results in govt outgrowing their means to fund themselves, and an inattentive public fails to keep them in check. The result is increased debt and taxes to fill the void created by govt excesses and irresponsibility. 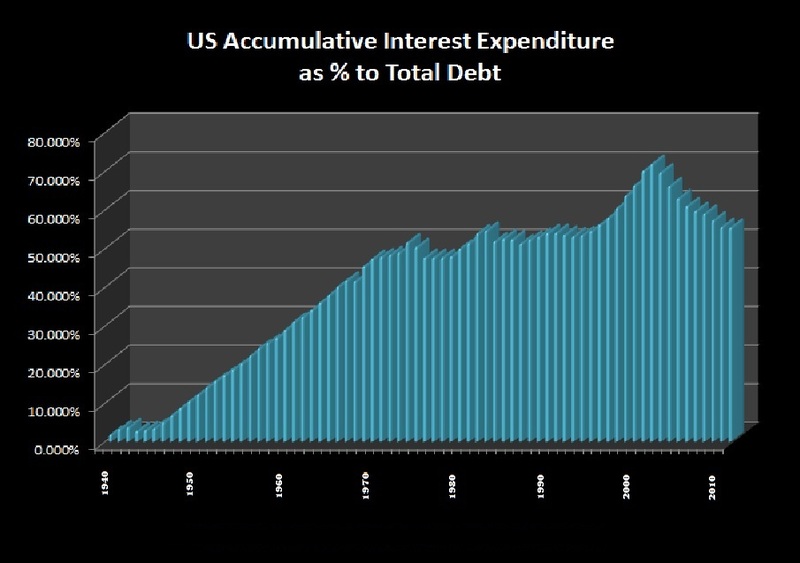 Over 50% of total US debt is accumulated interest. When interest rates rise, taxes will be raised to service the debt (and the banksters that fund political campaigns). 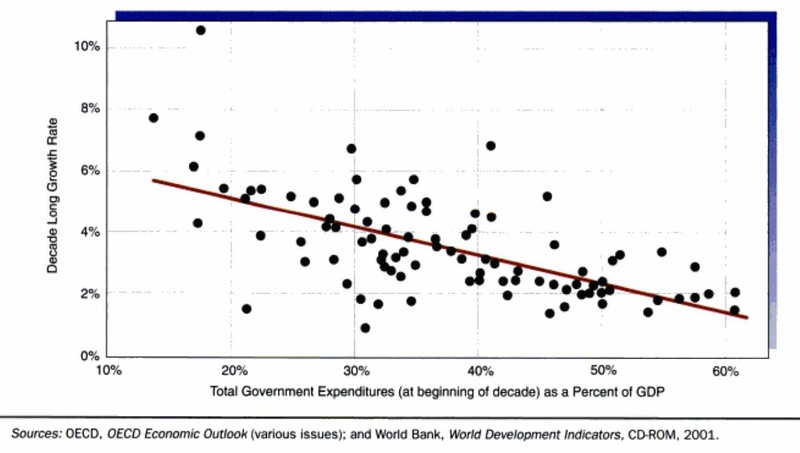 As we previously documented, when taxes rise, GDP contracts, which reduces tax receipts, and compels self-interested bureaucrats to feed the black hole of higher taxes. These re-enforcing scourges on the economy are destroying societies across the globe. When economies implode, civil unrest rises, along with the need to distract the people from the frauds, abuses, and irresponsibilities of govt. Every 300-400 years or so the abuses become so great that the people have nothing left to lose and they lose it, resulting in revolution. The cycles of civil unrest and war are both peaking in 2017-2020, and the time is ripe for another revolution. There are real solutions that don’t depend on Bernie’s magical thinking, or the perpetual wars of the establishment. It may take a miracle to see them implemented proactively, but even if they come after the pain of war, they are solutions that will result in a sustainable society that is FREE. The alternative is a painful slide into totalitarianism, or worse, as govt will continuously tighten the screws on anyone that makes money until they cook their goose by destroying the earning potential of those that pay for govt. The best thing we can do at this point is work towards making sure freedom rises from the ashes, as the cycles of civil unrest, war, and revolution are all converging. As much as I hate to admit it, there is no preventing the current sovereign debt crisis. If we would have taken our medicine after the financial crisis in 2008, or better yet after the popping of the tech bubble, we could have been on the path to a real sustainable recovery. Although, this too is about as much of a pipe dream as the rainbow coming out the backside of socialist unicorns, as the medicine required is the total reform of our political economy, which requires short term-limits. As should be clear by now, the root cause of our problems is career politicians, and the debt they run up with no intention of ever paying anything off, and the unsustainable increase in taxes, fees, and other confiscations required to pay the interest to donor banksters, while pretending to care about the 99%. – Eliminate all Federal Taxes and print non-interest bearing money to pay for Federal spending, that must be kept under 7% of GDP. – Allow student loans to be discharged in bankruptcy & force competition among schools by providing incentives to prepare graduates for the real world. – Eliminate police as revenue agents. No fines should be imposed without a jury trial and that is to be determined solely by a jury. – Mish has been succinctly critiquing the problems and discussing solutions for years, as has Karl Denninger. and their recommendations should also be included. The primary problem for all solutions is most would never be implementing in the current political economy run by corrupt career politicians. Even if a particular solution was implemented, say the elimination of the Fed, nothing would fundamentally change as long as we have career politicians in charge to muck everything up trying to protect their self-interest. Since part of the solution requires restructuring our debt and bankruptcy negotiations, Trump is the most qualified. Write downs and debt-equity swaps are certainly in his wheel house, and I think he would be in favor of eliminating deficit spending and limiting govt spending to no more than 7% of GDP. Regardless, the first step toward any solution is the implementation of short term-limits, which will only come about by de facto means – voting out ALL incumbents, every election (Step 1 of the 5 Steps that any American can take with little effort). The solution that will allow society to take a step forward, and stop repeating the mistakes of the past requires objectively learning from history, and forecasting proposed solutions through advanced computing power. History repeats because the passions of man have never changed. Luckily, the data and capability exists TODAY to minimize the amplitudes of the business cycle, as well as prepare for the natural cycles of mother nature that are controlled by the pulsating energy of the universe. If more people understood that the biggest database of economic relevant data exists today and is available for them to query, then maybe societies would not keep repeating the same mistakes and expecting a different result. One of the first lessons that would be confirmed is that socialism and other forms of central planning ALWAYS fail and lead to revolution and distractive wars, which we will be witnessing in Europe this year. Martin Armstrong has spent hundreds of millions of his own money to fund archaeological digs and analysis of currencies and much more that go back before ancient Greece. Instead of programming preconceived beliefs into an AI model, he let the data speak, and he simply observed. This has led to a discovery that is as significant as e=mc2. Everything that would affect an economy and society is in this model, called Socrates, including debt levels, currency devaluations, plagues, weather, volcanic eruptions, population growth and contractions, mass migrations, and much more. It’s all there, ready to be utilized. Imagine if one could interface this database verbally, through highly advanced AI programming? Finally, what if it was programmed by a man with experience acquired from being forced to understand the inner workings of the major economies of the world? As many people as possible need to understand this powerful capability is at their fingertips so more people can clearly see that all the wanna-be Emperor’s have no clothes. Curious readers can read about the models here. We know why insiders wanted to get their hands on Armstrong’s model, and now that “The Forecaster” documentary has made it clear that govt threw him in jail without formal charges for not turning over his code, we also know how far govt will go to keep this knowledge out of the hands of the folks. Armstrong’s model has predicted every major turning point for over 25 yrs, often to the day, which explains why so many sovereign wealth funds sought his services. The fact that most people have never heard of Armstrong, in spite of his unparalleled forecasts, should tell you how fearful the establishment is of the truth. Curious people should be investigating how this is possible. Propagandist in govt don’t want people to realize that politicians have no real power to manipulate the business or climate cycles. After all, political promises that have no substance do not win elections. As crazy as it may sound, his discovery of how the world works, may have discovered the secrets of the universe. Like all things in the universe, including the expansion and eventual contraction of the universe itself, everything has energy and a wavelength. Be it light and sound waves, a beating heart, everything has a cycle, including the pulsating energy of the sun that impacts our climate cycles. Not only physical nature, but human nature is dictated by cycles that produce repeatable wavelengths and amplitudes, including war and civil unrest cycles, which just happens to be simultaneously peaking in 2017, and coincides with the 300 yr revolution cycle, not seen since the French and American revolutions. Even if you are just a history buff, you will find his findings fascinating and educational. Imagine history books that were written based on reality, instead of only from the perspective of the victor. 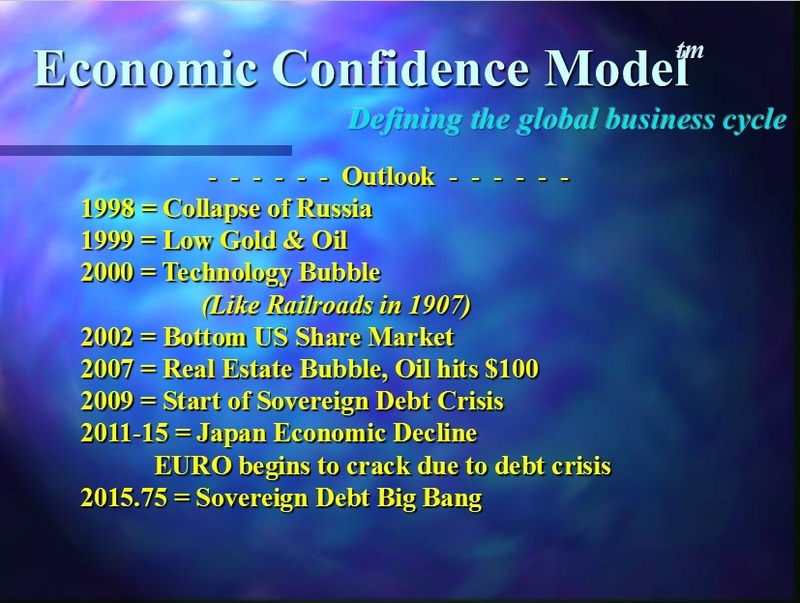 Every major world economic event since 1998 has been forecasted correctly, even to the day. The coming vote in June for Britain to exit the EU was forecasted many years ago, even though PM Cameron tried to bribe the London Mayor to not go along with the vote. , as was the rise of Independents in the 2016 US election. Why not start your inquiry into what could one day be viewed as the greatest economic discovery of mankind?